Millions of US homeowners agree: mortgage debt is “good debt.” Mortgages tends to carry low rates of interest, provide tax deductions for interest expenses and property taxes, and properties build equity and increase in value over time (though arguably, not as much as you think). If going into debt brings such added costs, can it be considered “good debt?” Many of these costs, in fact, don’t go away once your mortgage has been paid off. When I enrolled in college, I was happy to take out student loans to pay the cost. The logic for doing so makes sense to most people: You can borrow money at a low interest rate for a future increase in earnings. But student loan rates aren’t cheap. Most rates I see are around 6 to 7% now, which is fairly close to the annual growth rate of the stock market. Furthermore, not all college debt is the same. An accounting major graduating with $40,000 in student loans may not have much trouble finding good-paying work, but other, less marketable degrees with the same loan may have trouble. The accessibility of “easy money” can often create an unbridled willingness to borrow, borrow, borrow--often at amounts that students would otherwise be uncomfortable with. “Easy” student debt does not a “good debt” make. Does the cost of your debt give you an economic advantage that would be very difficult, if not impossible, to reach otherwise? I felt confident that the marketability of my MBA would be high in the future. I was earning $44,000 per year at my previous job, and MBA students were often graduating with jobs paying $70,000 and above. I was also flexible with my location. If there weren’t opportunities in Salt Lake City, I was willing to move out of the state to find work. Could I have saved up to pay for my MBA entirely with cash? You bet. If I could have saved $10,000 a year for 8 years the MBA would have been paid for. But the MBA earned me a higher income much more quickly and led to additional raises within a couple years of graduation, which I believe kept me further ahead, rather than waiting and saving. I hope calling into question traditional forms of “good debt” has been helpful to you. Be cautious about any type of debt obligation, regardless of its ancillary benefits. 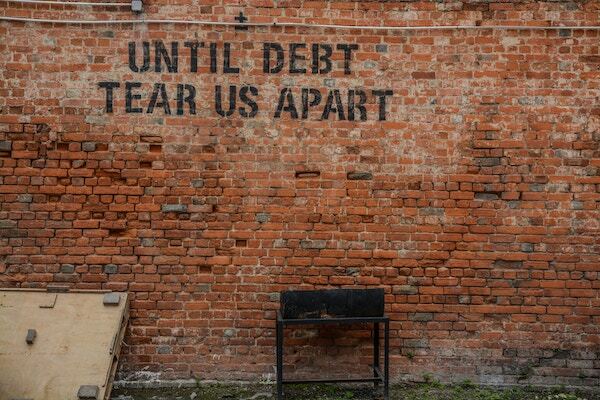 Debt is debt, and we tend to forget about the added costs which accompany it. If debt is going to work for you, consider what kind of economic advantage it can potentially provide. Older PostHow Good Are the Tax Savings in Your 401k or IRA?